Buying a luxury watch for yourself - or as a present for someone - is a baffling decision. Which brands are best? Are Swiss watches the best on the market? How much should I spend? Most guides go into so much detail that you are inclined to give up and buy a fake off the market. Hopefully our beginners guide to the best watches will help. So, which is the best brand of watch? OK, so I don’t have £10,000 to spend on a watch – which are the best affordable men’s watches? It depends on your definition of affordable, but you will find watches with ‘luxury’ features starting from about £100 (Japanese brands Seiko and Citizen for example). The number of high quality features gradually increases as the price rises. Many experts wouldn’t consider any watch under £1000 to be ‘luxury’, but you can get a high-quality timepiece for less and you can of course buy a watch for £100,000. Which style of watch should I buy? ​This is, of course, complete nonsense which can be merrily ignored by most of us living in the real world. If you plan to buy a luxury watch, you needn’t feel you need to buy three different watches. My advice would be to buy the style which you like the best. If it’s a present, I would say that a classic style of watch with a metal bracelet is the safest option. What's the difference between a cheap £5 watch and a luxury £5000 watch? If you want a watch which tells the time accurately...you don't need to spend £5000. In fact, you can pick up a quartz watch which is extremely accurate for only a few pounds. The factors which add value to a watch are more to do with how much time it has taken to make, whether it is a world famous brand and what materials it is made of. ​An automatic movement which doesn't need batteries, rather than a quartz watch. A synthetic sapphire crystal. If that sounds like gibberish, it means the front of the watch is made from a tough material. 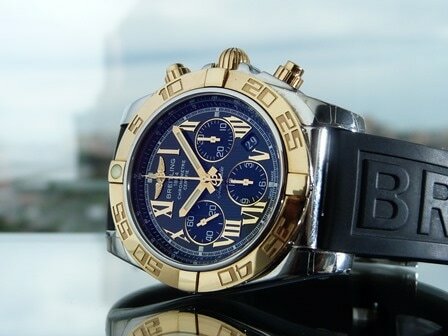 A name associated with quality, such as Tissot, Rolex, Omega, Tag Heuer, Breitling or Seiko. 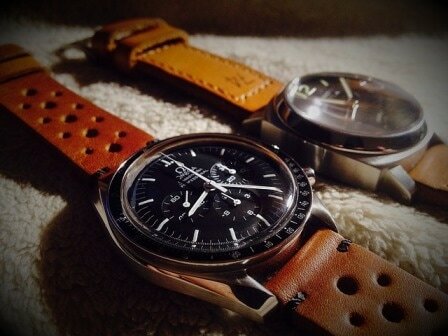 A solid metal strap rather than flimsy hollow metal (alternatively you might want a leather strap). It will probably be made in Switzerland, or perhaps Japan. There are high quality watches made in other countries, but the majority of the world's most prestigious watches are Swiss. Expensive materials such as gold or precious gemstones (these tend to be the really expensive watches which cost more than a new car, most quality watches just use stainless steel). A water resistance rating of 200m or more but only if it calls itself a diving watch. Plenty of high quality watches aren't waterproof. That’s a lot to take in - which are the most important features in a watch? However…other people are entitled to disagree. If you don’t plan to get your watch wet then it doesn’t need a 100m rating, but if you plan to take it scuba diving then you need a 200m or higher rating. Equally, some people prefer the accuracy of a radio controlled quartz watch (such as the Citizen watch in our 10 best watches guide). For some people it is all about the brand – Omega has associations with NASA and James Bond, Rolex is the world’s most famous watchmaker whilst Patek Philippe is one of the most exclusive. Is a luxury watch a good investment? Er, no probably not...if your idea of a good investment is something which gains in value over time. However, watches aren't a terrible investment if you consider the amount of use you will get out of a high quality watch. Compare a luxury watch to a sports car which you might keep in the garage and only take out on sunny days. You will probably get many more years use out of a high quality watch, it will cost you less to service and it probably won't depreciate anywhere near as much. But no, if you want a good investment, get an ISA. There have been examples of limited edition watches which became collectible but generally you'll find second hand watches are much cheaper than new watches. Having said that, some brands seem to hold their value pretty well - such as an eternally popular design such as a Rolex Submariner. How much should I spend on a luxury watch? Some people will tell you that a watch which costs under £1000 isn't a luxury watch. However, my view is that you start to see some luxurious characteristics in watches which cost as little as £100 (such as the Seiko 5). For example, there are plenty of watches under £1000 which have an automatic movement. Once you get into the £1000 to £5000 category, you'll have the pick of several renowned Swiss watch brands, including those worn by James Bond (Omega, Rolex) and others your mum has heard of. For that money you can expect other fancy features such as a chronometer rated watch and perhaps some precious metal such as gold. The most expensive watches (£5000 to £100,000+) are nearly all Swiss made and may well come blinged up with gemstones such as diamonds or may be an exclusive name such as Patek Philippe. What about watches made by designer fashion labels? Lots of very fancy fashion labels make their own watches, such as Gucci, Chanel and Hugo Boss. Are they any good? My conclusion after reading lots of opinions on this, is that you really need to look at the specification of the watch rather than just the name. Many watch fanatics (horologists) are very dismissive of some of these brands as they don't feel they follow the history and traditions of watchmaking. Some are made in China, some have cheaper parts whilst others are made in Switzerland and are manufactured using more expensive methods. For example, if you search for Gucci watches you will find some around £300 which are quartz watches with the cheaper 'mineral' crystal (rather than a tough synthetic sapphire window) and a very low water resistance. You would find similar specifications on a much cheaper watch, so my conclusion is that you are probably paying a fair amount for the name. However, if you spend £1200 on a Gucci watch then you will be able to get a watch with an automatic movement and a synthetic sapphire crystal (which doesn't break as easily) which are both signs of quality. Personally I think some of the clothing labels make nice watch designs but I wouldn't be sucked into spending hundreds or thousands of pounds on a watch with a nice name and poor quality build quality. A watch 'complication' is usually considered anything that a watch does beyond telling you the hours and minutes. So, it could be something simple (and useful) like telling you the date or it could be something somewhat less useful for daily life such as showing you the phases of the moon (unless you are a werewolf). Some high end luxury watchmakers such as Patek Philippe or Vacheron Constantin take great pride in including multiple complications and like to try to out-do each other with vast numbers of parts and complications. According Wikipedia 'The Franck Muller Aeternitas Mega 4 is the world's most complicated wristwatch. It has 36 complications, 25 of them visible, 1483 components and 1000-year calendar'. A watch with multiple complications is certainly impressive but there are plenty of high quality and very expensive watches which just tell the time. 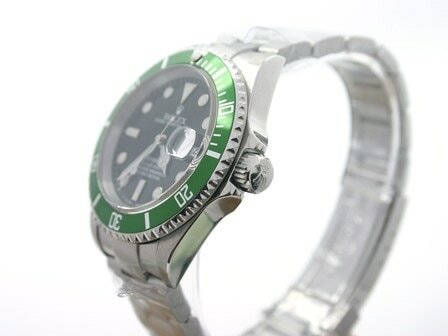 World famous brands such as Rolex offer much simpler watches but they are still very high quality.